Since 1960 Harlequin has been nothing but romance. Ten of thousands of romance books. 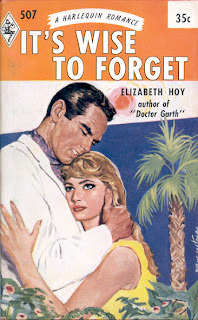 The books today are distinguished by their appallingly ugly photo covers. 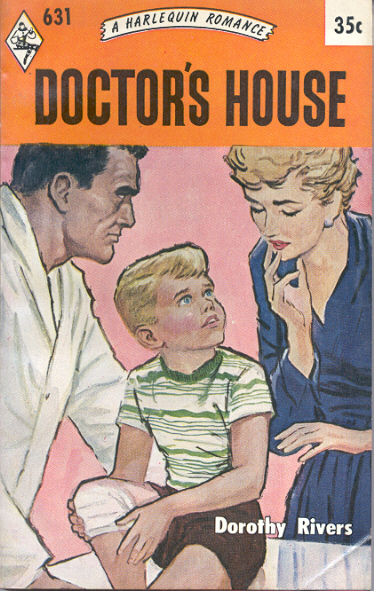 But here I celebrate the 1960s, starting with three oranges. 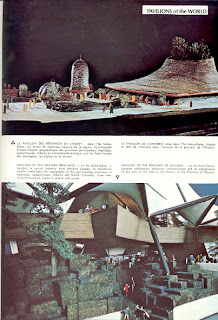 Here are the two earlier posts about Canadian artist George Shane. 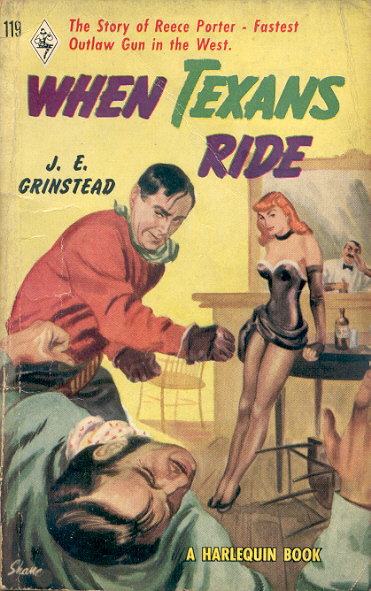 He is one of only two artists who worked for all three of the early large Canadian paperback publishers. 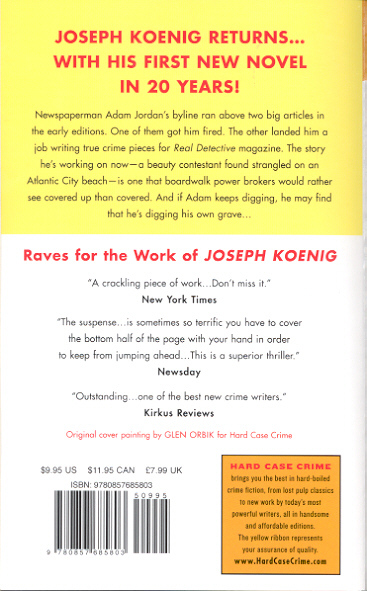 Here are the two of the three books for Harlequin. 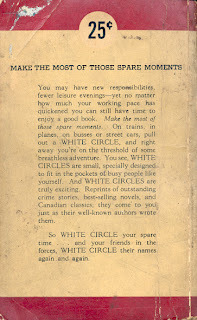 I recently learned that Mr Shane (born 1921) lives in a Toronto retirement residence where an recent exhibit of his paintings was enjoyed by family and friends. 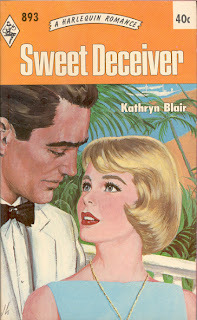 Another in my favourite series of early Canadian paperback reprints from Wm. 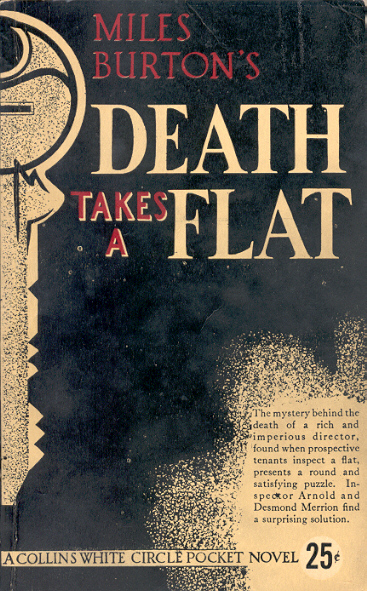 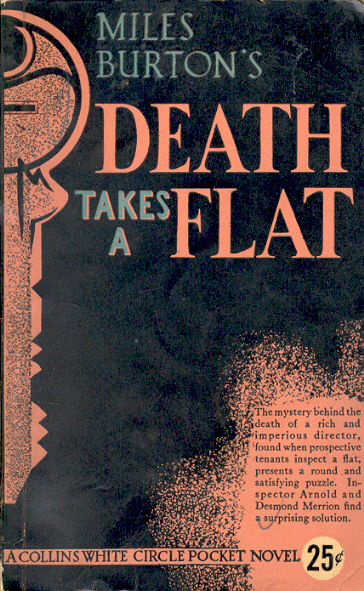 Collins Sons & Co. Canada Ltd. Death Takes a Flat is one of the 17 1943 books reprinted with the same cover design but in different colours. 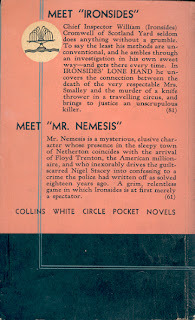 The book was first published in 1940 (London: Wm Collins). 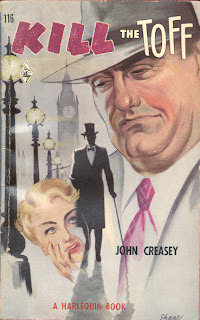 Miles Burton is a pseudonym of Cecil John Charles Street who also wrote as John Rhode. 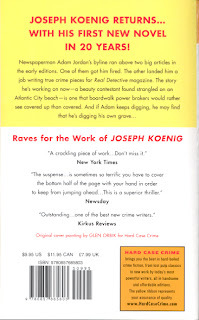 The latest offering from Hard Case Crime is out - False Negative by Joseph Koenig. 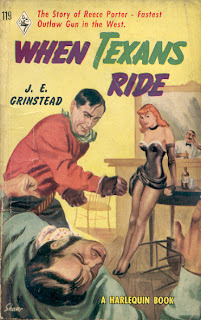 The story takes place in 1953 and is, in my opinion, one of the half-dozen best of the 75 or so books published in this series. His first book in nearly 20 years, I'll be looking for the others. 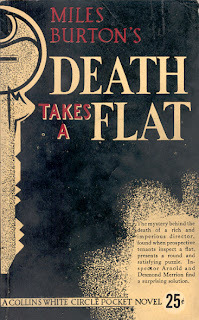 In the eighth post in this series I discussed my favourite reprint series of the early Canadian paperbacks. 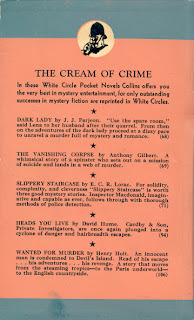 I had a list of 16 books from Wm. Collins Sons & Co. Canada Ltd. originally published in 1943 and reprinted in 1944, 1945 and 1946, all with different colour covers. 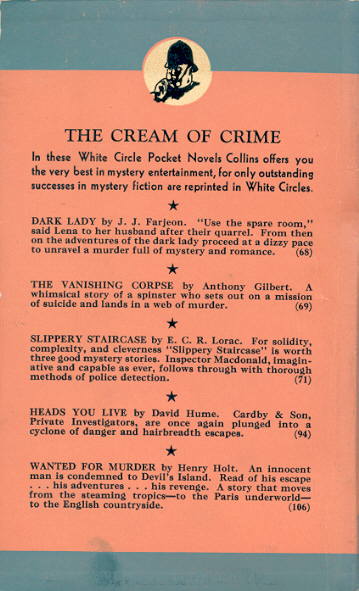 I have just found a seventeenth. 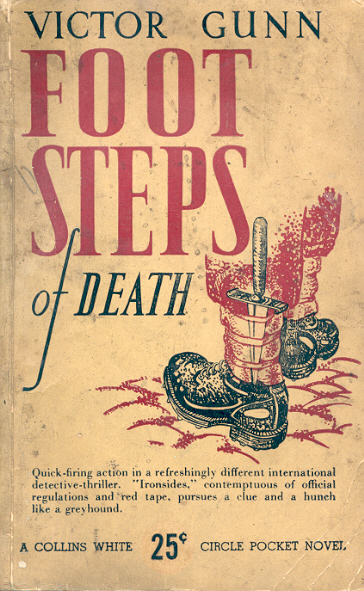 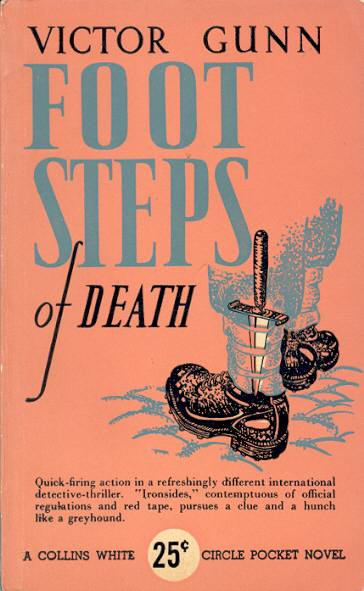 Footsteps of Death by Victor Gunn (pseudonym of Edwy Searles Brooks, who also wrote as Berkeley Gray) was first published in London by Wm. 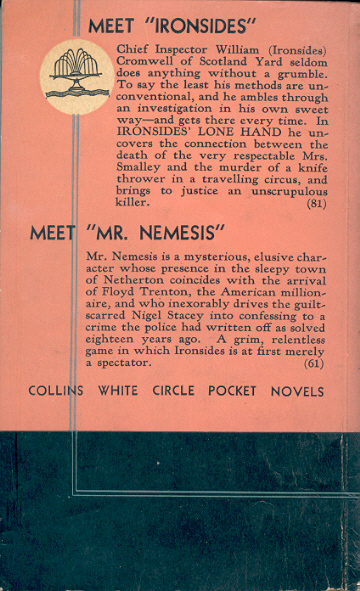 Collins in 1939. 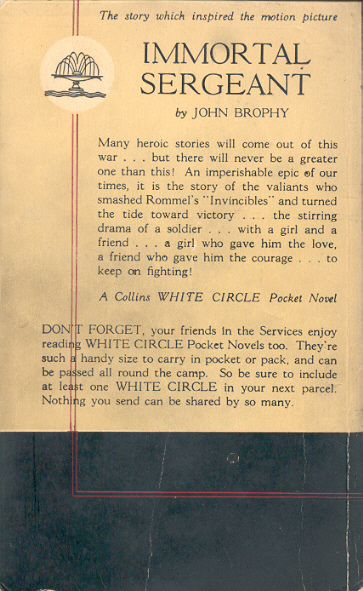 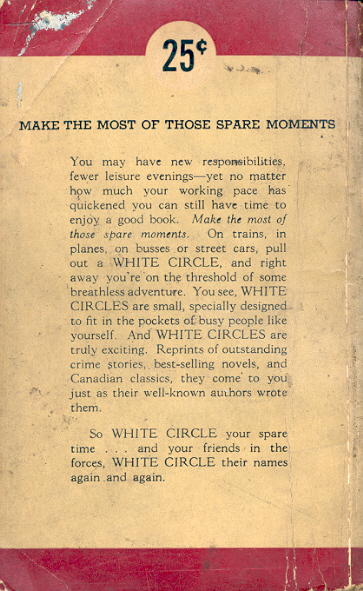 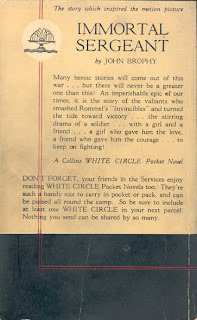 The Canadian subsidiary published it in their White Circle Pocket Library paperback series in 1943 with a new printing in 1944. 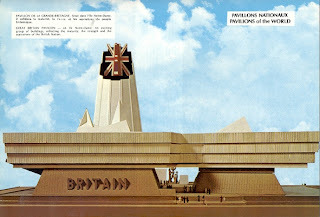 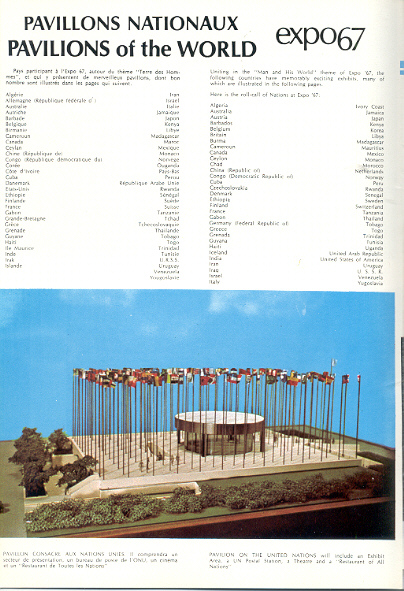 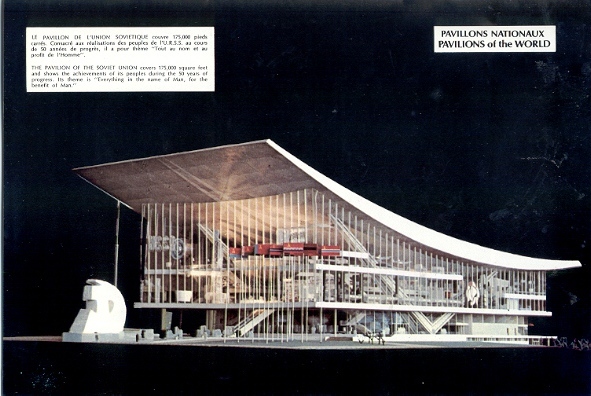 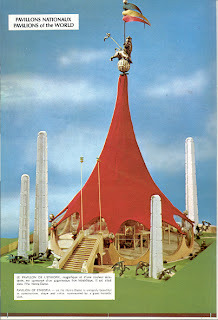 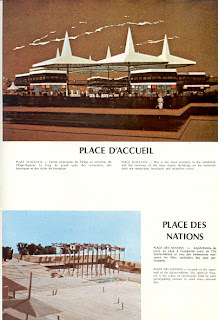 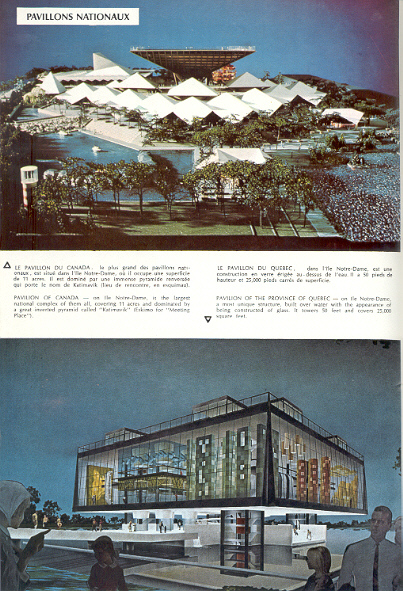 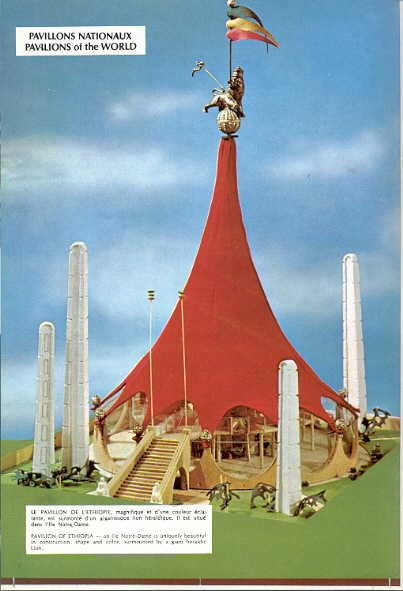 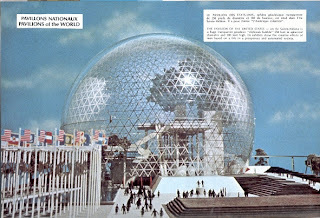 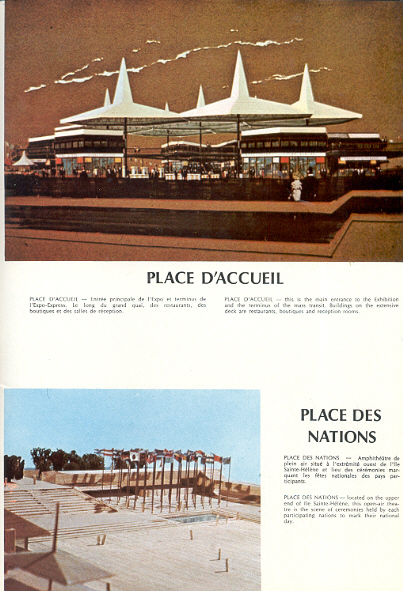 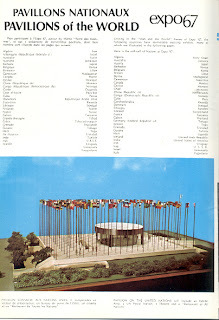 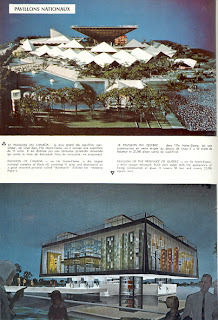 Hare are pages 9 through 16 of the expo67 Album Souvenir Book - a book of photographs of models of buildings meant to last but six months, all in glorious mid 60s colour printing.